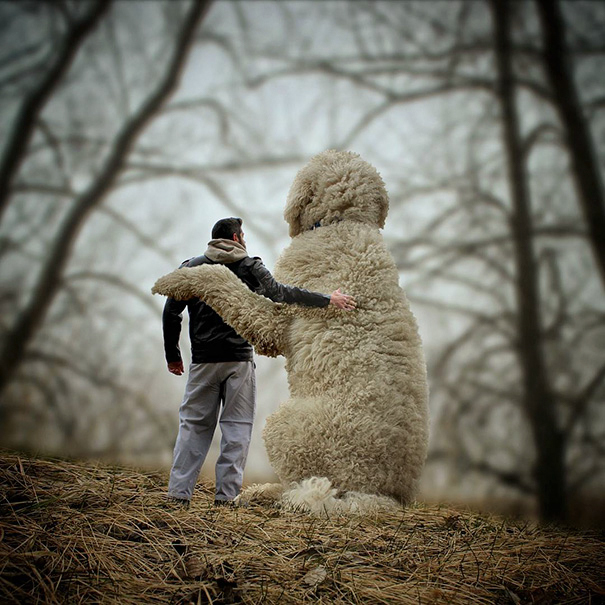 You can never have enough good friends – and the bigger the friends the better! 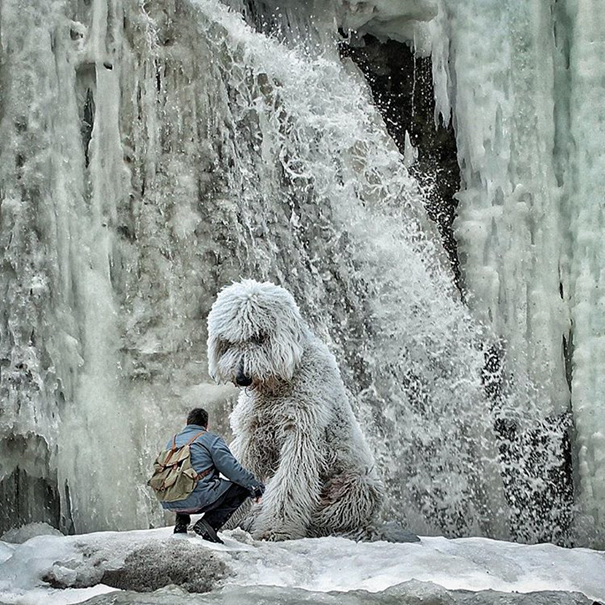 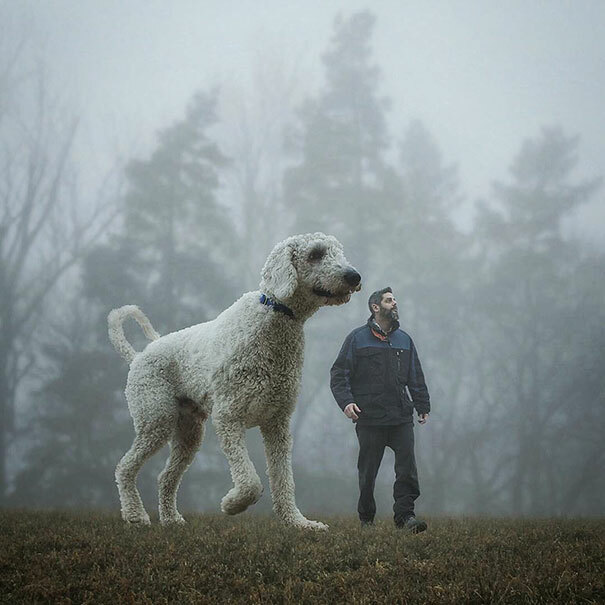 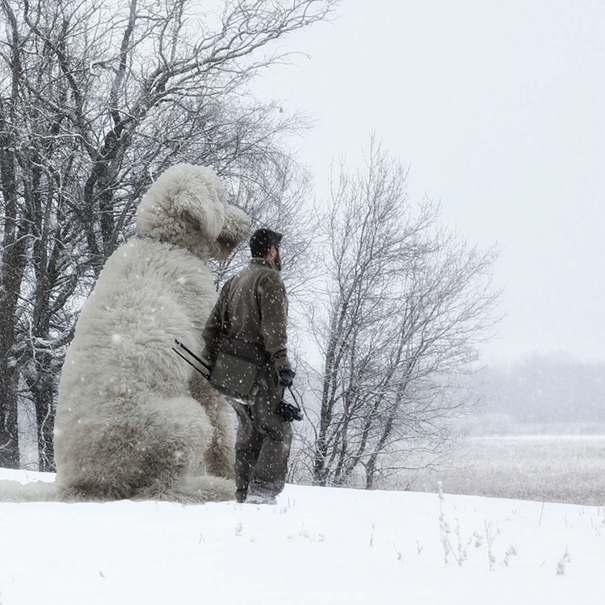 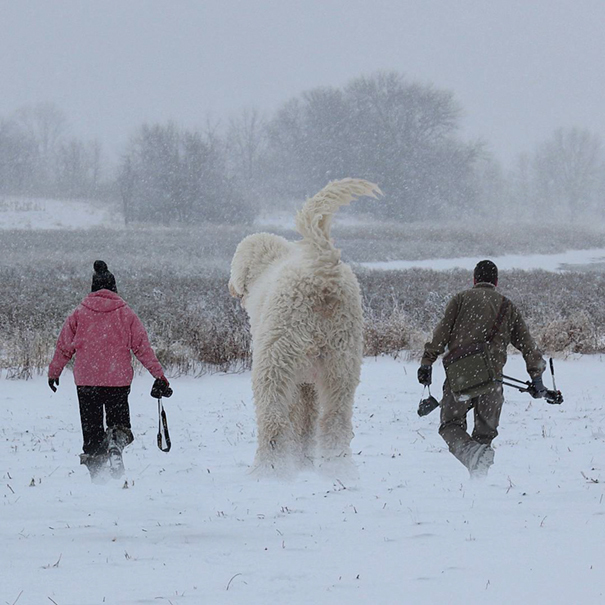 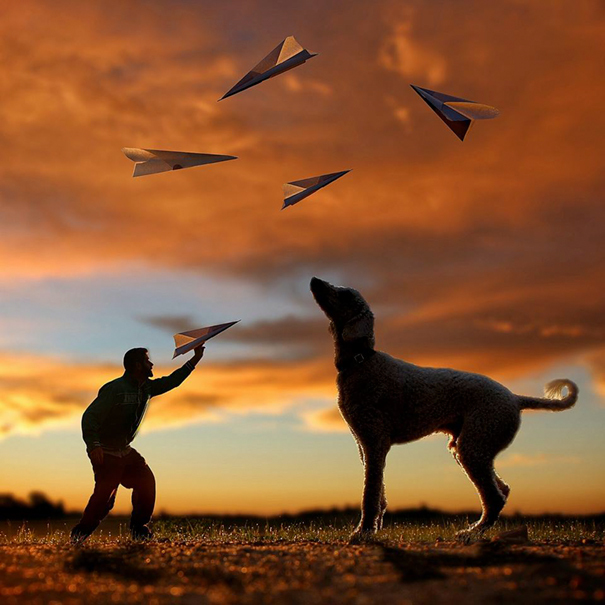 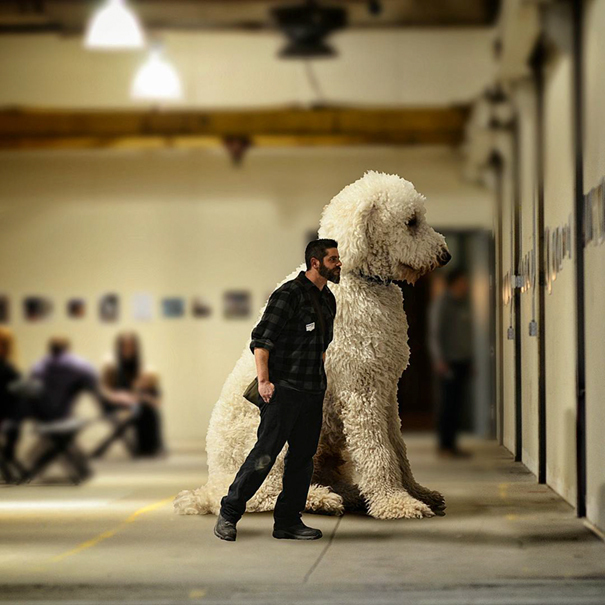 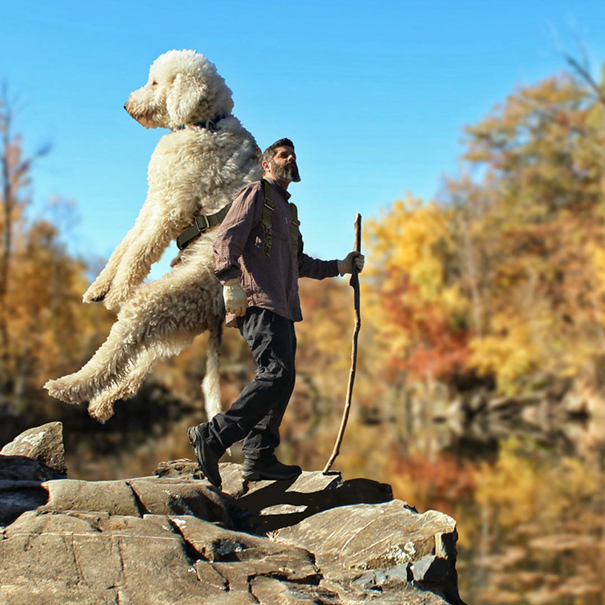 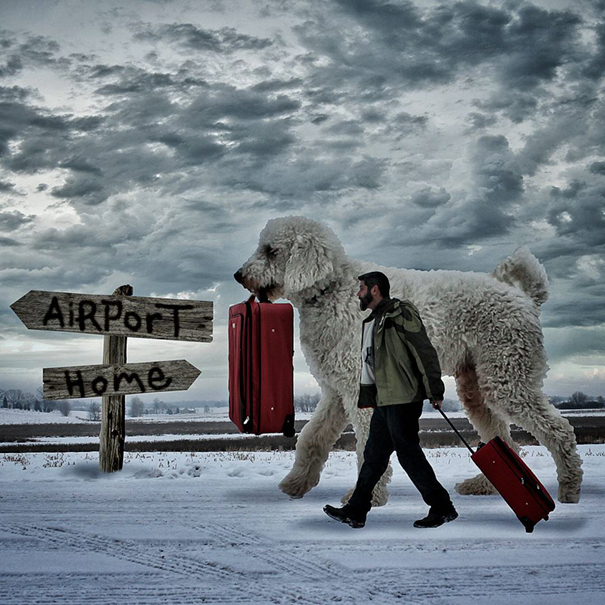 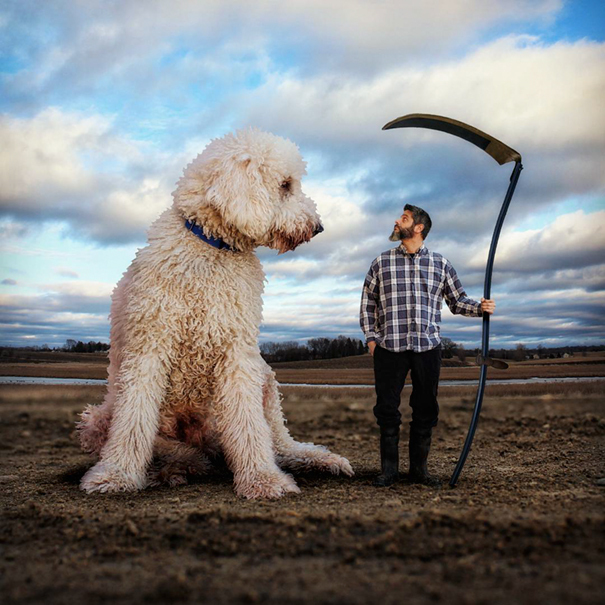 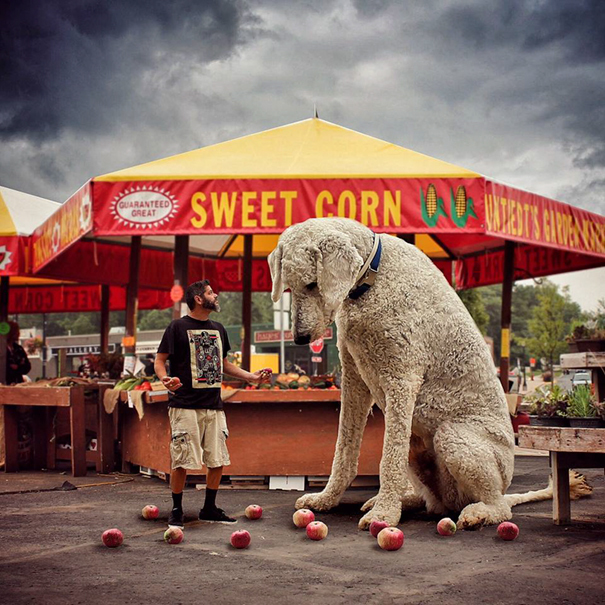 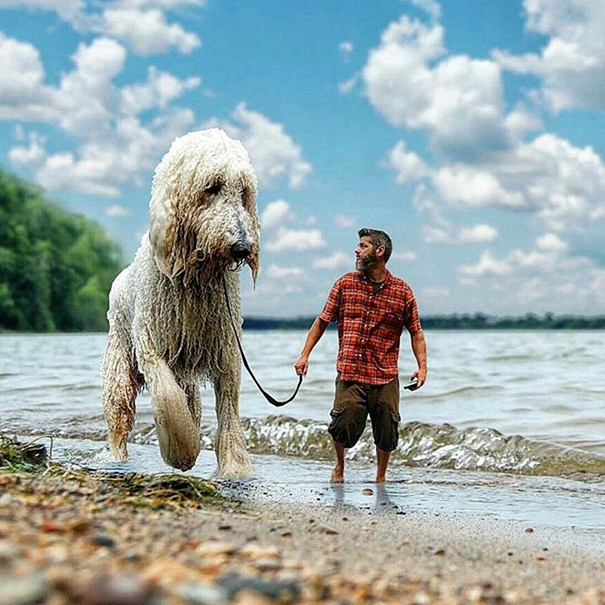 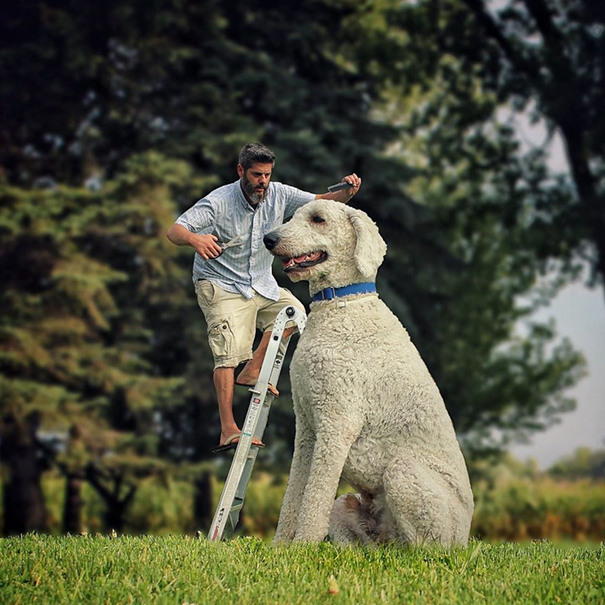 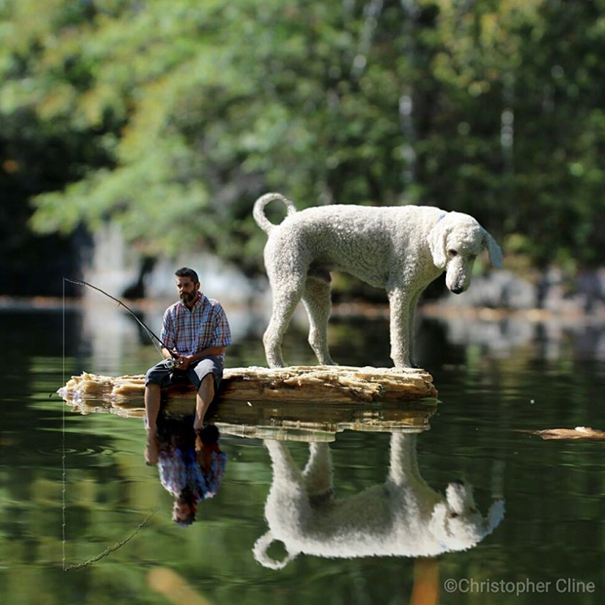 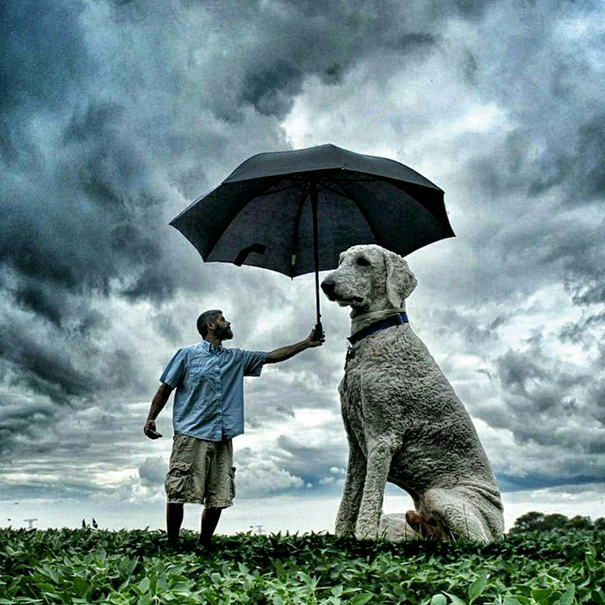 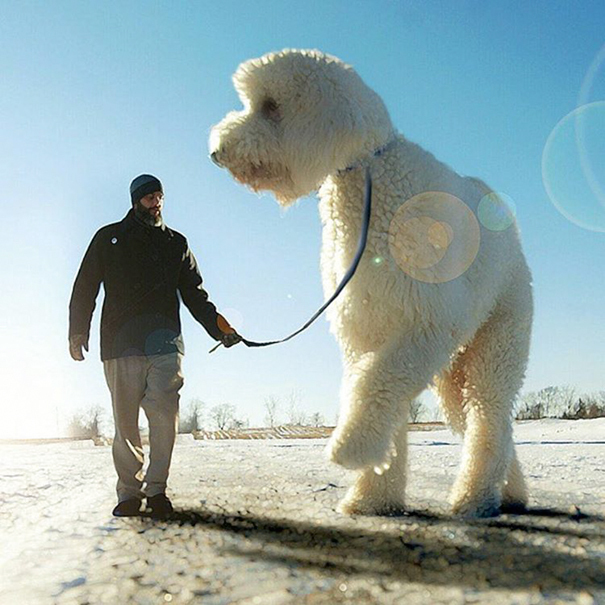 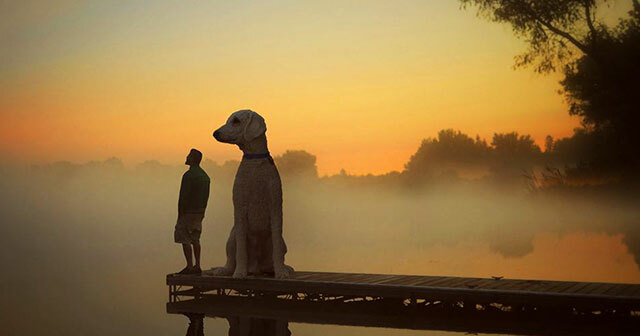 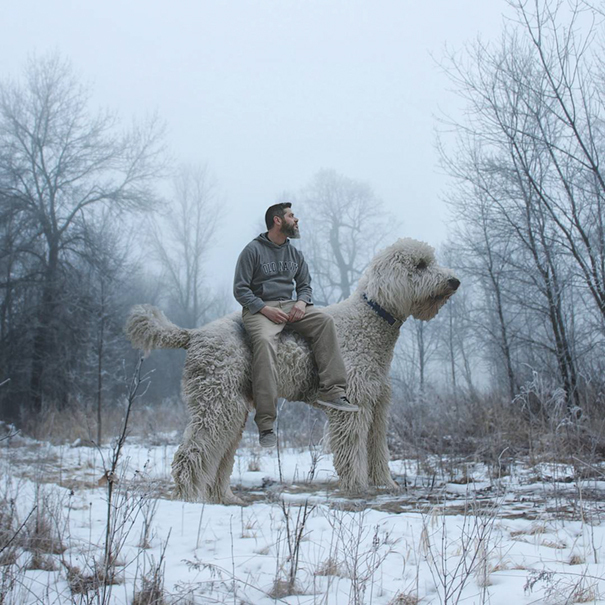 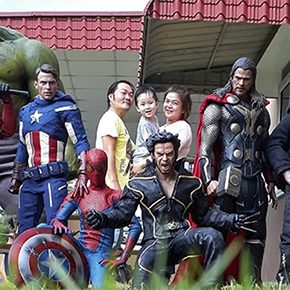 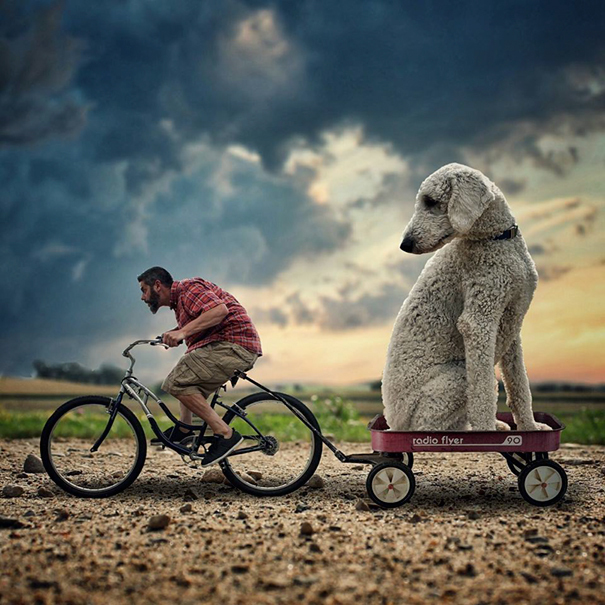 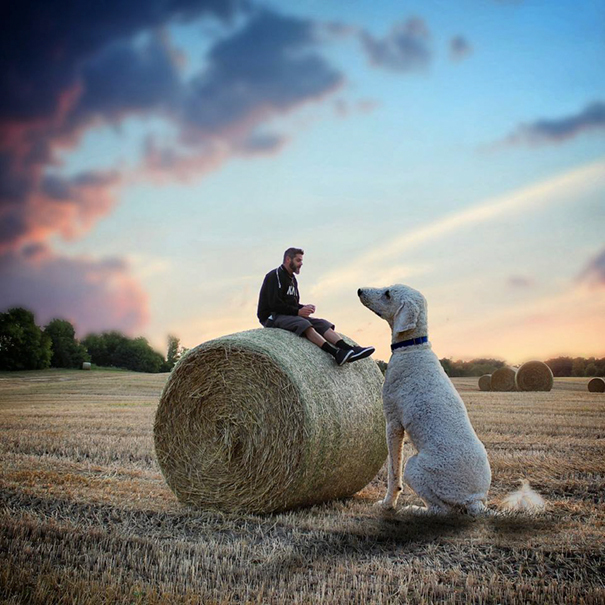 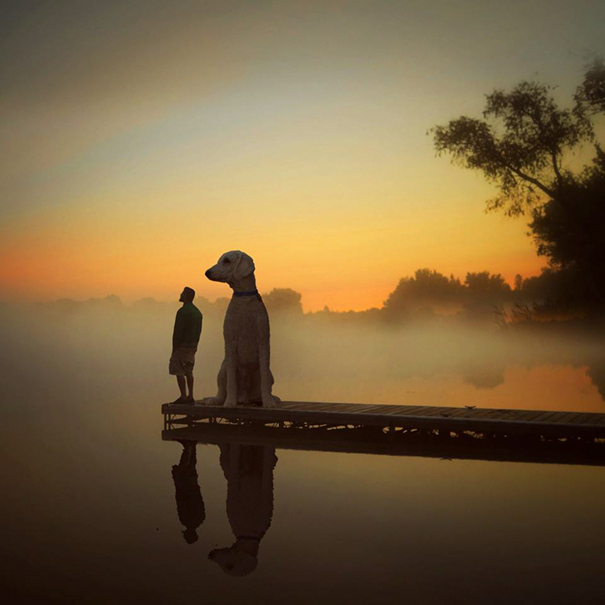 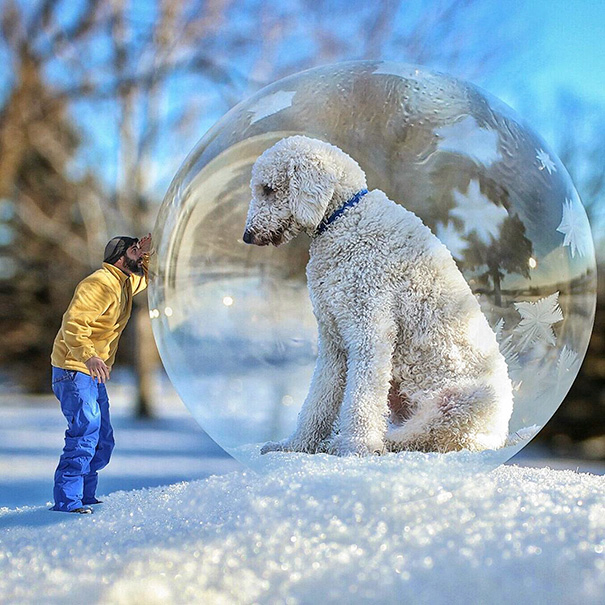 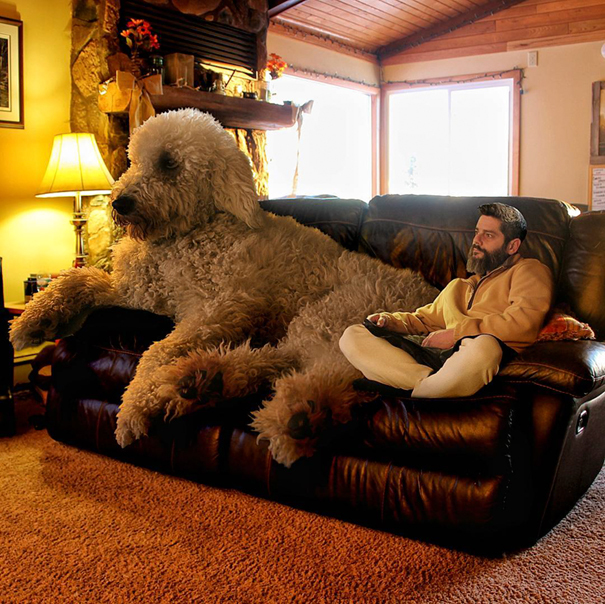 With a little Photoshop magic, photographer Christopher Cline has managed to turn his furry four-legged friend into a giant super friend! 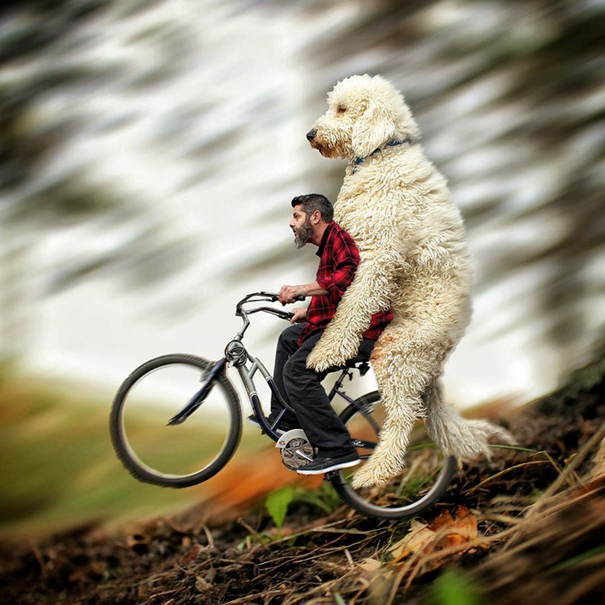 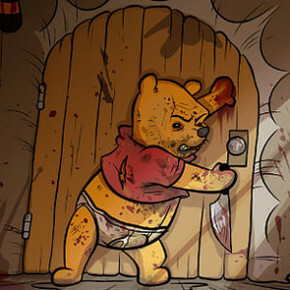 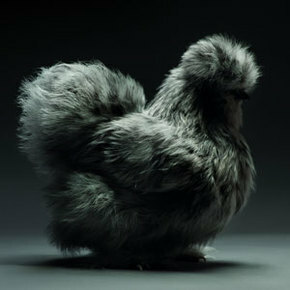 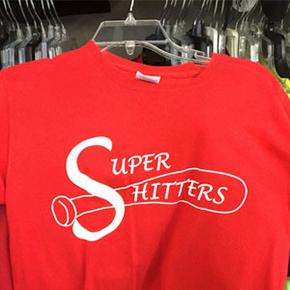 And what happened then? 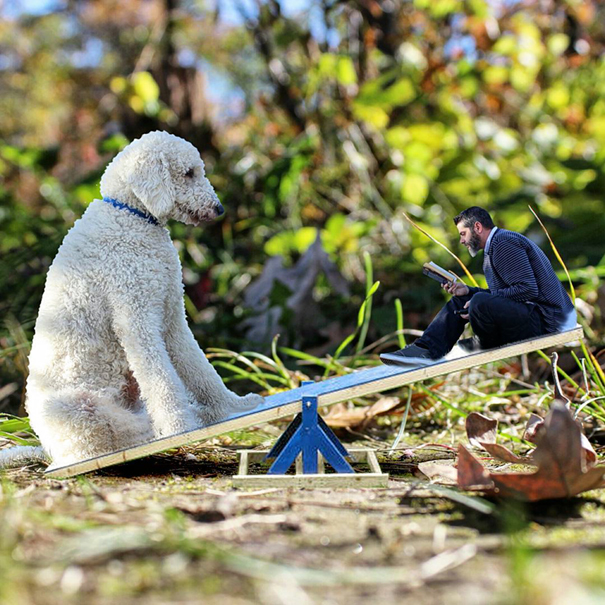 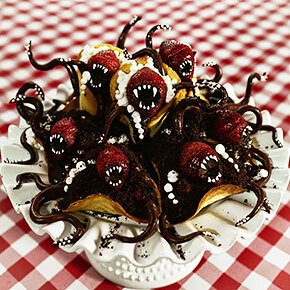 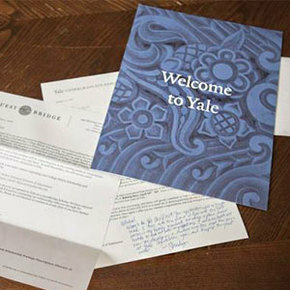 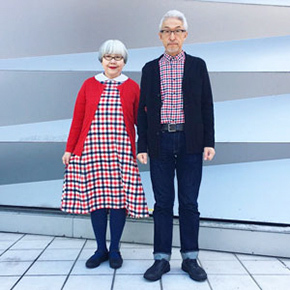 We’ll let the pictures do the talking.